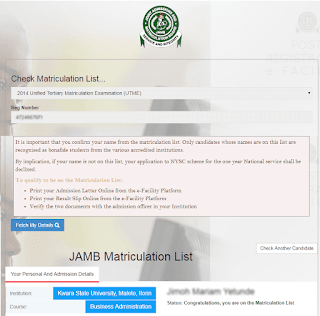 The Registrar of the Joint Admission And Matriculation Board, Prof. Is-haq Oloyede has disclosed that the 2017 UTME registration will commence within the next two weeks. He further mentioned that the examination itself will be coming up later in May so it won't clash with any SSCE examinations, and help the board check any form of malpractice, especially upgrading of results. He equally stated that the 1.7m candidates figure was last year’s figure and bit the board do not expect less this year. "We expect about 1.5 million candidates for UTME and about 200,000 and 300,000 candidates for Direct Entry. That was how we arrived at the figure and that is the figure we are also expecting."